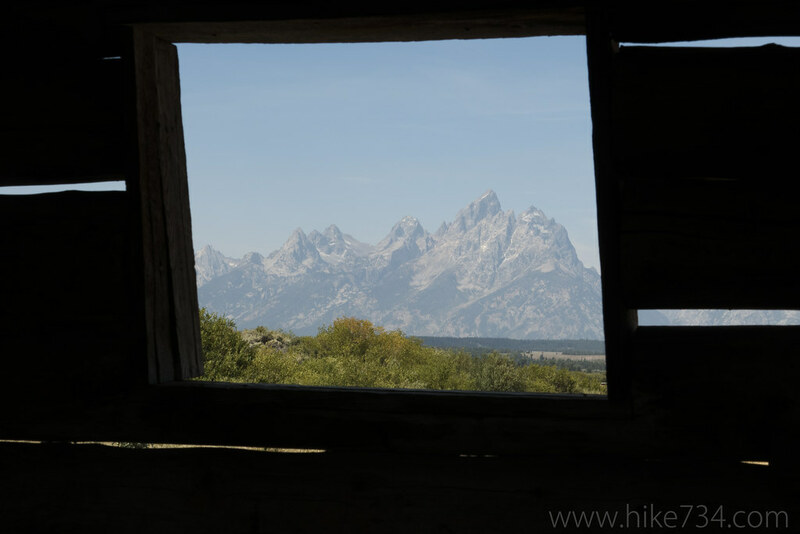 This short, level stroll through the open grasslands of Jackson Hole in Grand Teton National Park takes you to an old, historic cabin. The homesteader farmed using a series of irrigation ditches. 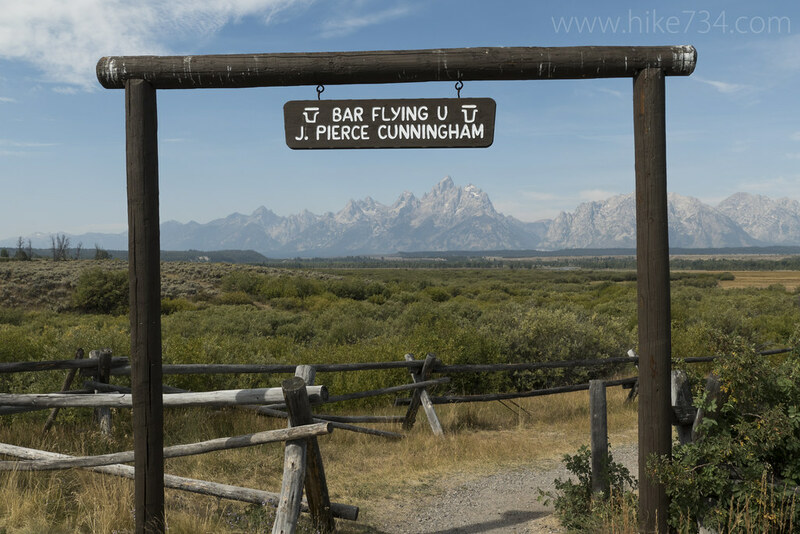 You’ll be able to see a bit of history with interpretive signs and sweeping views of the vast grassland backdropped by the impressive Teton Range. 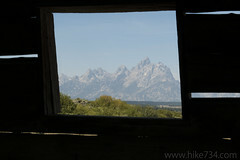 It was a little breezy as we got out of the car, but the sun shone bright across Jackson Hole. 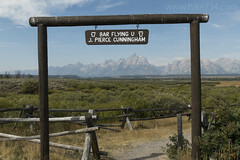 We read the interpretive signs, then ducked under the entrance for Cunningham Cabin in Grand Teton National Park. 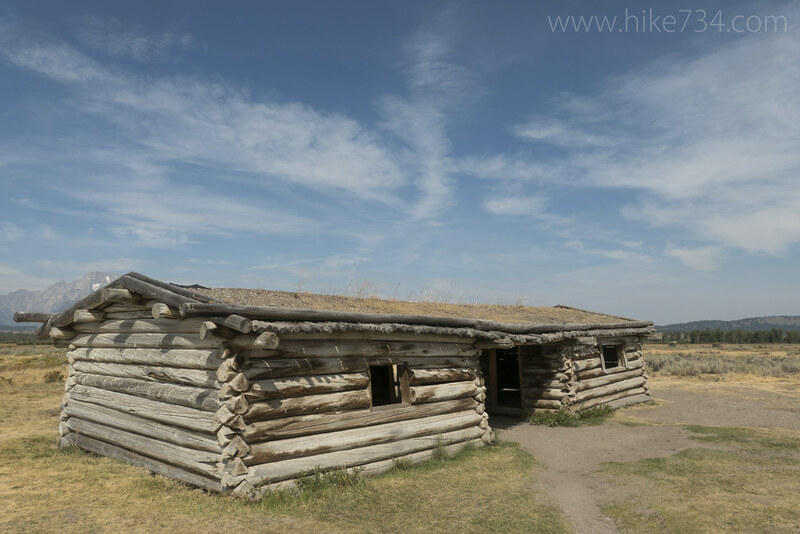 While not a long hike, but more of an easy stroll, this takes you to the old one room log cabin. The setting is impeccably gorgeous. The wind travelled across the grassland, unabated by trees. 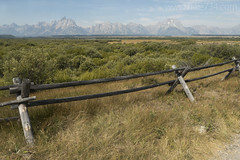 The classic look at the Teton Range never gets old and you get a full taste of it here. 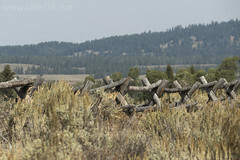 A series of irrigation ditches with locks to divert the water were put in to help the homesteaders water their fields. This also helps with some of the shrubbery around. The birds love this area and we saw everything from Mountain Bluebirds on the fence to Sandhill Cranes in the fields and a Swainson’s Hawk soaring overhead. Perhaps the most exciting bird siting of the day was a Peregrine Falcon dive-bombing a Great Blue Heron. We wandered over to the cabin and went inside. I can’t imagine living in a place like that with its low roof, cramped quarters, and sod roof. The early pioneers led a tough life. At least this one picked a location with amazing views. 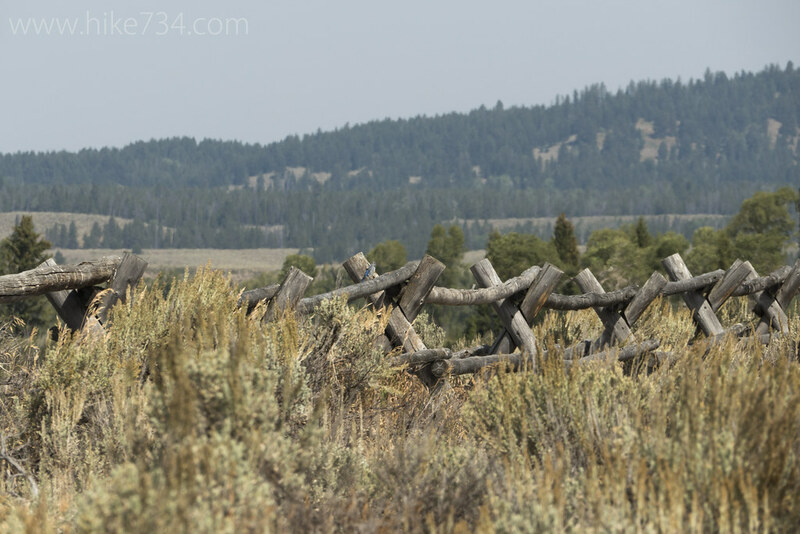 After the cabin, we wandered around the fence line, then headed back to the car. 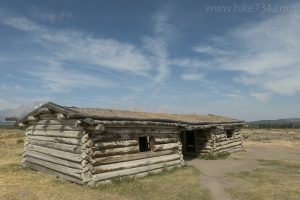 Cunningham Cabin might not be for everyone, but it’s accessible to just about anyone that can walk on a trail. 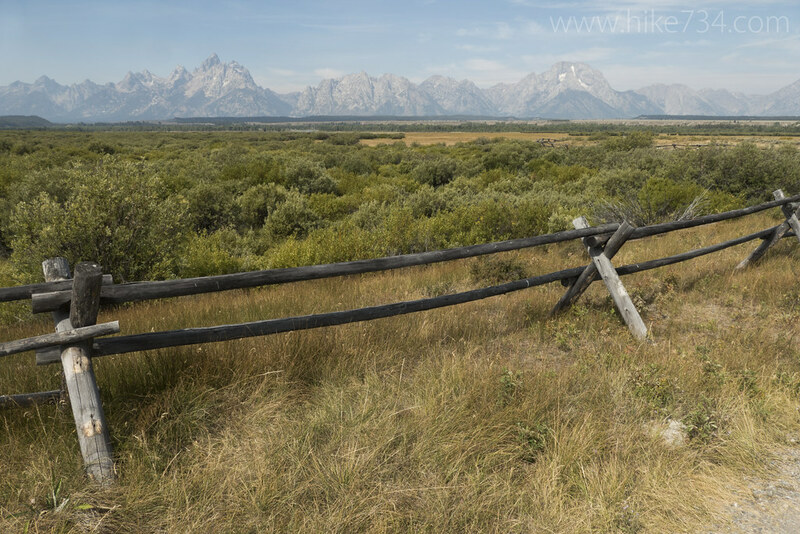 It’s a cool stop to take a little flashback in history with wonderful vantages of Grand Teton National Park along the way.